It's no secret we are big Sugarboo & Co. fans in our home; I have never come across art I love as much as theirs, and I love that each and every piece is made by hand in Atlanta, Georgia with so much character and attention to detail. I shared a round up of some of my favorite Sugarboo & Co pieces in 2016 in a post here, including their gorgeous Book Collection series, which the girls' have a piece of in their shared room in their reading corner, and I'm excited to share the pieces I am loving for Spring and also give away one of my favorites to one of you! 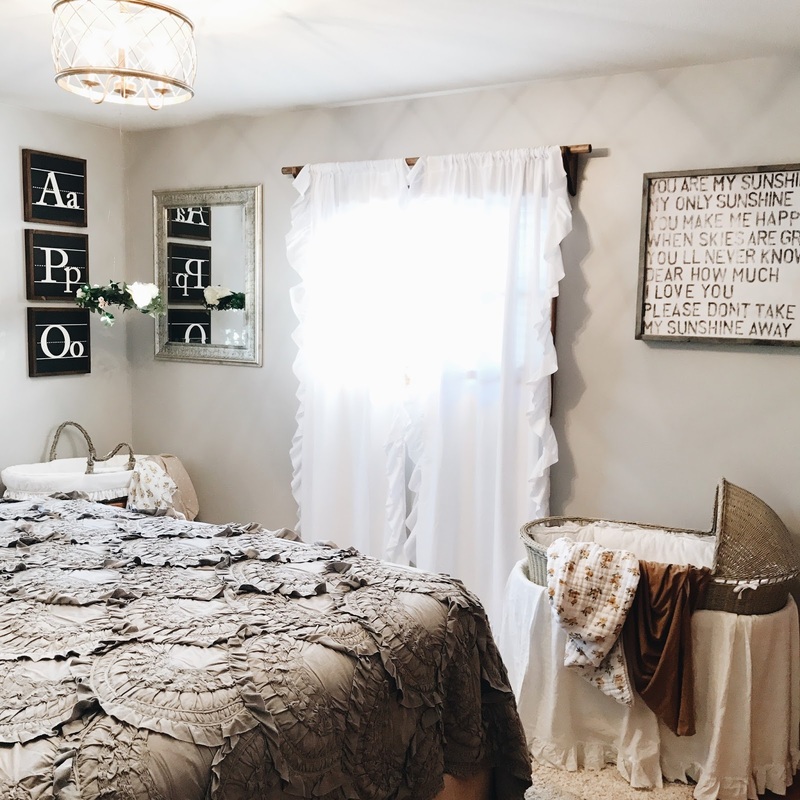 When I was about 30 weeks pregnant with Adaline, I decided it would be the perfect time to completely redo our master bedroom (#forevernesting). 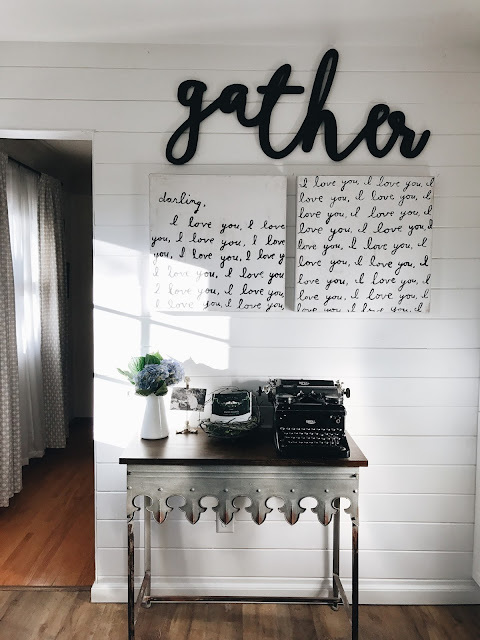 Nothing was wrong with it, it had just never been a room that I particularly loved or put much detail into the way I had every other room in our home, and especially knowing I was soon going to have three little girls to care for, I really wanted to create a space that felt like a relaxing retreat after a long day. After all the other updates were made (paint, furniture, light fixture, new rug & window treatments), the last piece of the puzzle was finding the perfect art and of course I immediately knew that meant incorporating Sugarboo Designs. I have always loved the bold but simple design of their pieces, each capturing so much love and warm sentiment. You are my sunshine is a lullaby I've sung to all three of our daughters so having this piece in our bedroom above Della's bassinet is so special to me. I want every piece of art in our home to reflect my heart -- my love for Dustin and our daughters. 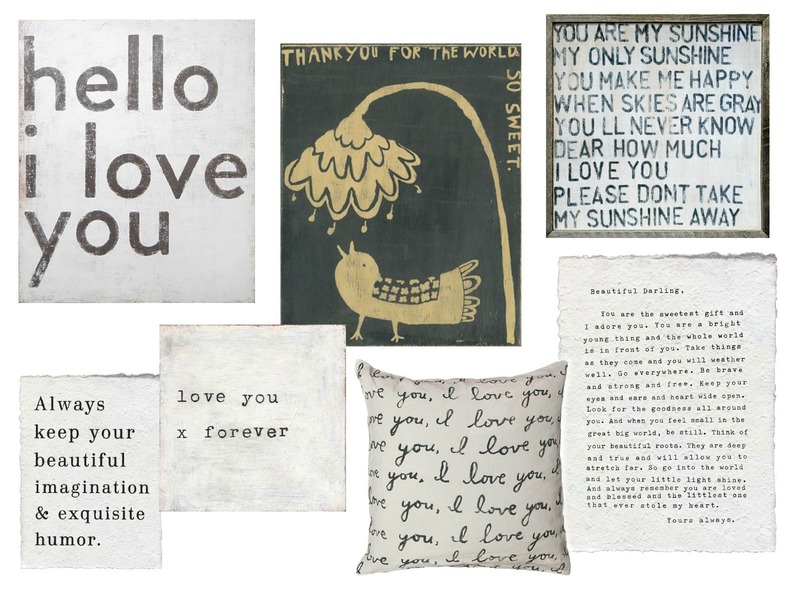 Sugarboo Designs offers art which makes that effortless. Another favorite piece of ours is this love letter set, which we have hanging in our kitchen on our shiplap wall. Every time I look at each of the pieces in our home, my heart is so full and the list of what piece I want to add to our collection next is ever growing. 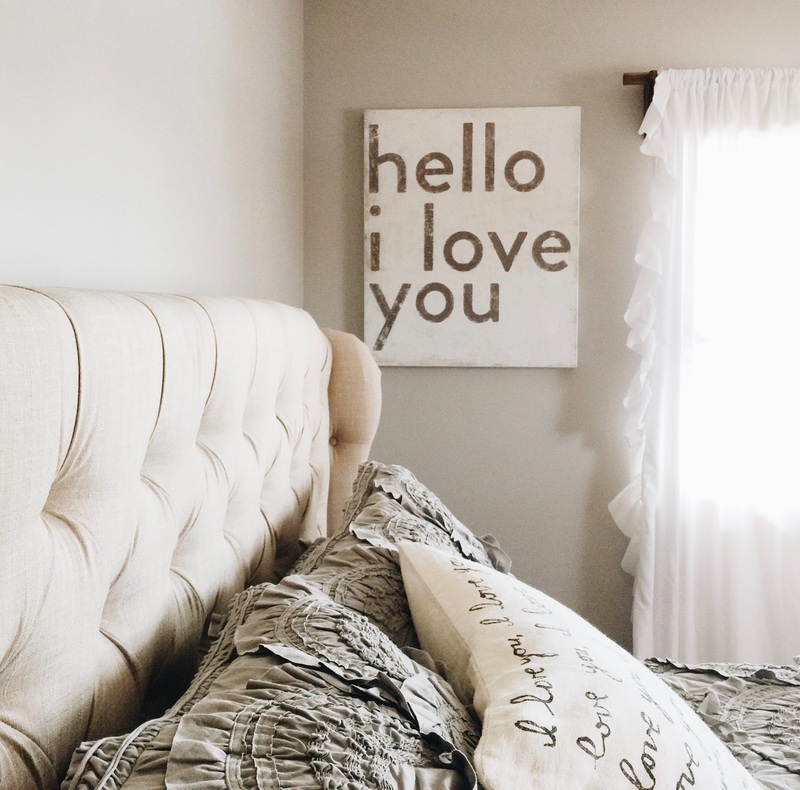 Because we love everything from Sugarboo & Co. so much, I've teamed up with them to give away a PILLOW OF CHOICE (up to $140 value) to one lucky winner! You can view all the pillow styles here. Head on over to my instagram @blessednestblog for details on how to enter. Giveaway runs Wednesday March 15 through Tuesday March 21, 2017. And if you have your eye on a favorite piece from Sugarboo & Co. you can save 15% off your purchase when you enter ABLESSEDNEST at checkout. Discount valid today through Tuesday March 21 2017 only. I love your bedding?! Would you mind sharing where you purchased it?